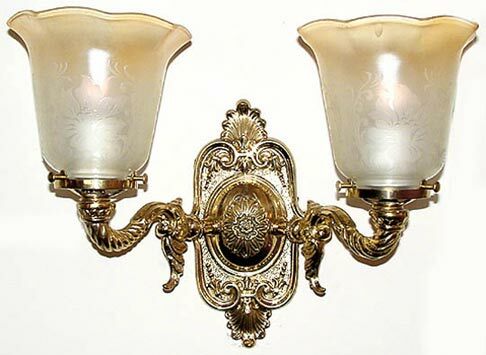 A more Victorian wall light with cast brass 'Dragon Tail' arms. A lower profile back plate keeps this unique fixture closer to the wall. Can be mounted up or down. (These shades are not presently available). Can be mounted with glass facing up or down during installation. Width 14 In. / Projection 7 In. / Depth 9 In.